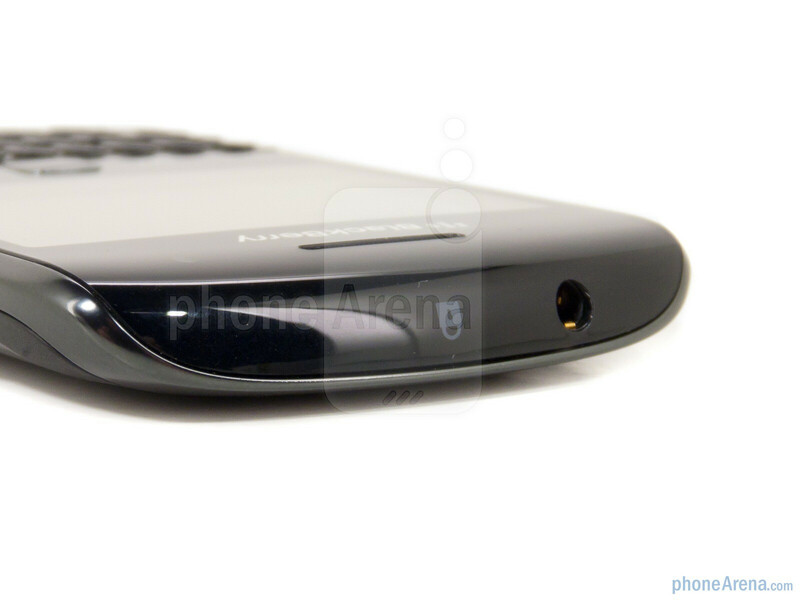 Amidst a slew of new, touch-based hardware it may have been easy to miss the Curve 9350. 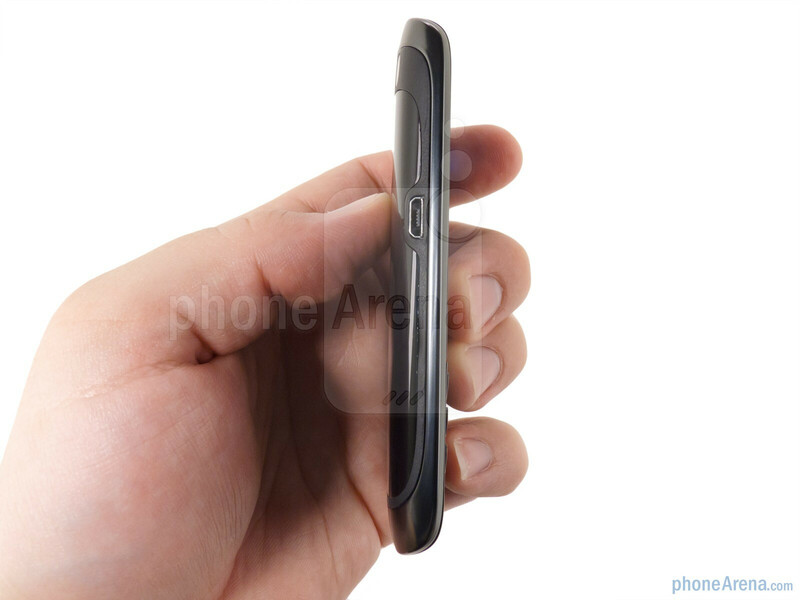 The little brother to the Torch and Bold, this latest Curve is the smallest and slimmest yet. 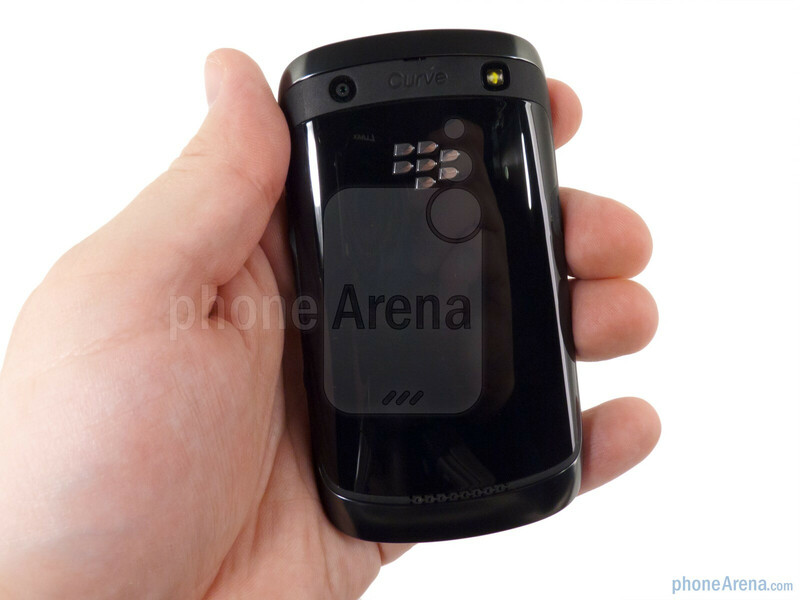 Some new features include an updated display, 5 megapixel camera, BlackBerry 7 OS and NFC. 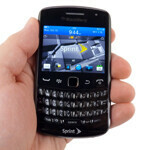 The 9350 is available with Sprint, while the identical 9360 is offered by T-Mobile. 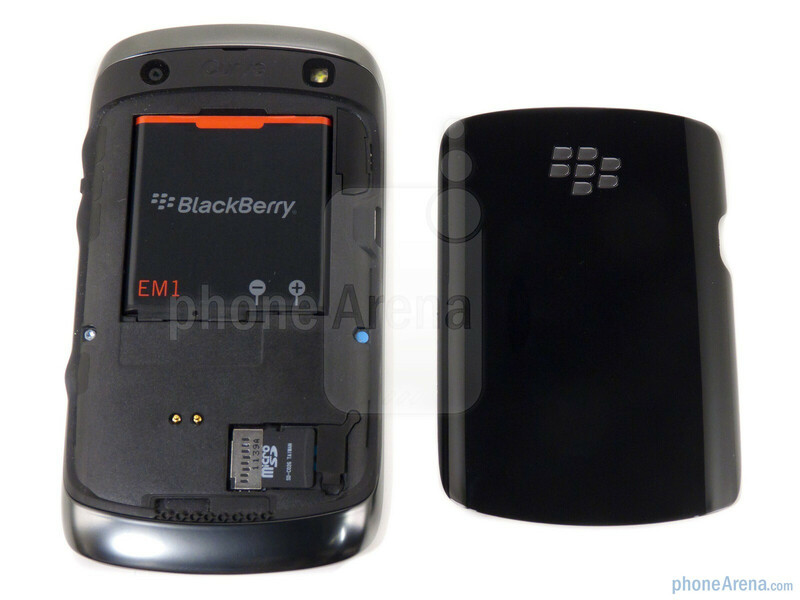 Included with the Curve 9350 you’ll get a 2GB memory card and microUSB data cable with AC adapter. At first glance the Curve 9350 seems similar to the outgoing Curve 9330, but once you pick it up you realize just how much smaller it is. Thanks to inward tapering on the edges and outward tapering on the top and bottom the Curve 9350 feels paper-thin at 11mm. The familiar 2.4” display is now 480x360 with 16.7 million colors and is very crisp and vibrant, though small. We didn’t have much issue reading it except in direct sunlight. The hard plastic keys feel very similar to past Curve iterations, perhaps a bit smaller. For the most part we felt at home typing on them but the keypad can be cramped at times and we found ourselves pressing two keys at once on more than one occasion. 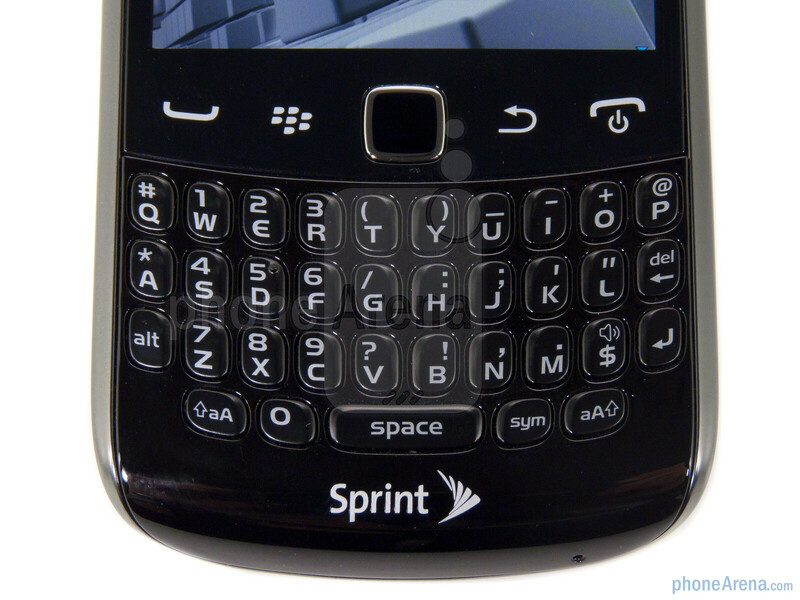 This keyboard is a far cry from the Bold, which is a standard of sorts in the mobile industry. 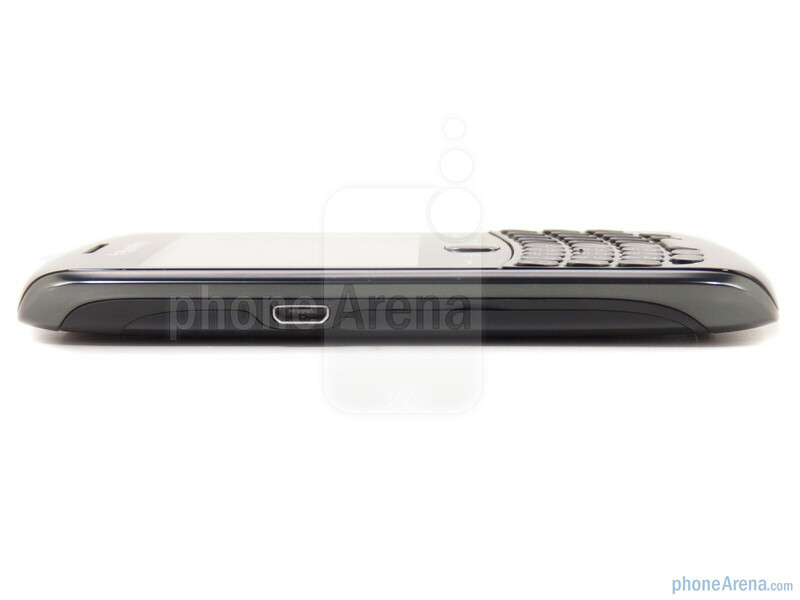 You can compare the BlackBerry Curve 9350 with many other phones using our Size Visualization Tool. Thanks to the tapered edges your hands easily wrap around the Curve 9350, which almost gets lost in our medium-sized hands. It also feels tiny against your face, which isn’t necessarily a good thing. The phone is very plastic which means it is very light. 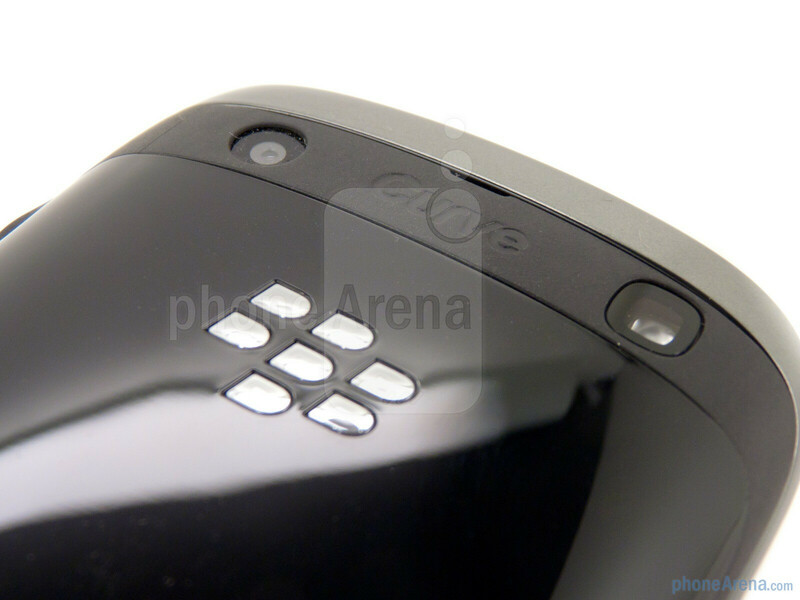 On previous BlackBerry devices the side buttons were noticeable bumps along the rubberized edges, but this time around they are merely flaps of rubber. They stick out, but it took us a second to figure out what they were due to the odd and unexpected size. They do offer decent feedback when pressed, but are somewhat awkward to press because of the tapering and their placement. There is only one programmable convenience key, which lies along the right side with the volume rocker. The overall feel of the Curve 9350 is good, but a bit chintzy. The plastic keys and housing don’t quite make the device feel cheap, but at the same time we wouldn’t exactly call the phone solid. 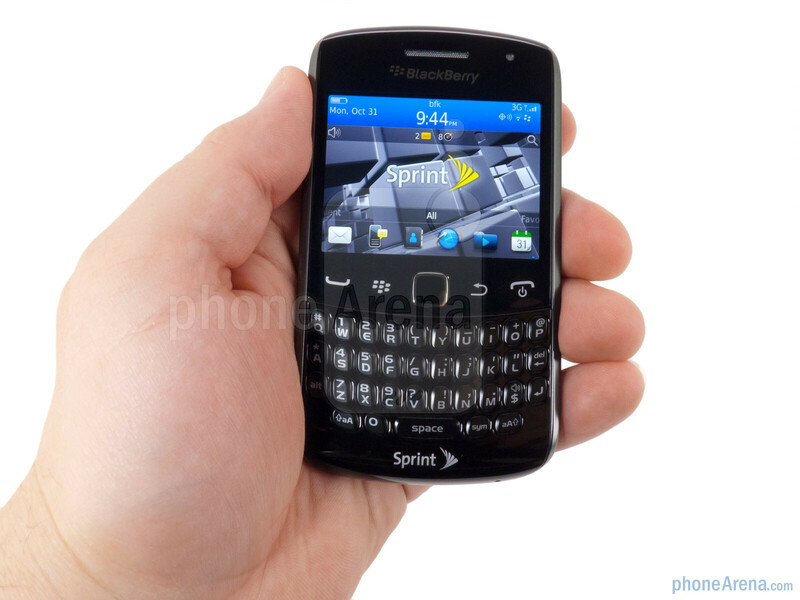 The phone almost feels like a toy, and as one person who picked up the Curve 9350 put it, “this doesn’t feel real.” Those with smaller hands will appreciate the minute dimensions, but for those with large hands the phone will feel miniscule and the keys are probably too close for comfortable typing. And it doesn't even have a touch screen. I kinda like the smallness of it and no call quality issues in my area. Probably on the network where they tested the phone, not a blackberry problem. It compliments my laptop perfectly. @HTC - didn't you get the word? RIM is going retro. Touchscreens don't exactly fit in the retro theme. Not everyone needs touchscreen. There are people who need good qwerty, fast e-mail and that's it.